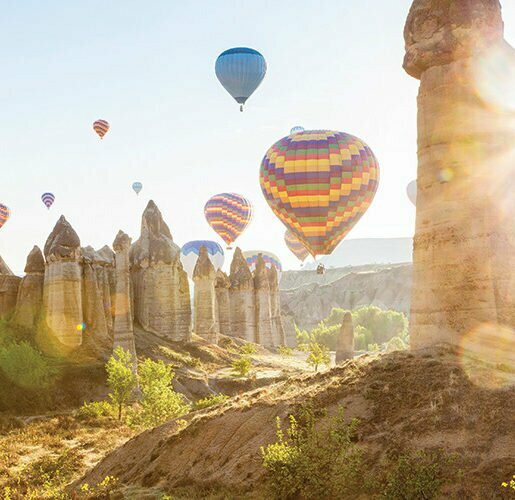 With seasonal direct flights from Sunshine Coast Airport to Auckland, Sunshine Coasters are flocking to the North Island of New Zealand, drawn to its dramatic scenery and cooler weather, encouraging indulgence in food, wine and luxury experiences. While many have taken the road most travelled with a self-drive itinerary as ticked and completed, there is an emerging style of travel in New Zealand, which involves wine, food, wellness and luxury experiences. While we are all becoming increasingly time poor, a long weekend away to recharge and disappear from the world in a luxury lodge is very appealing for many. The hardest decision is which one to choose? 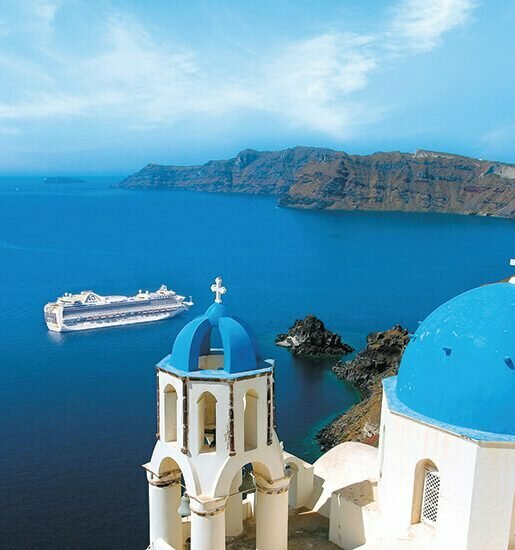 More than just luxurious in accommodation and fine cuisine, luxury lodges offer unique events and experiences throughout the year, from winemaker dinners, celebrity chef experiences, waterfall wilderness dining or just an opportunity to relax and be pampered in truly memorable spas. When I booked Huka Lodge, I noticed they were hosting a Louis Roederer Champagne dinner with the brand ambassador Ben Longhurst and guest chef Clayton Wells (The Weekend Australian’s Hottest Chef of 2016) ­– my decision was made. 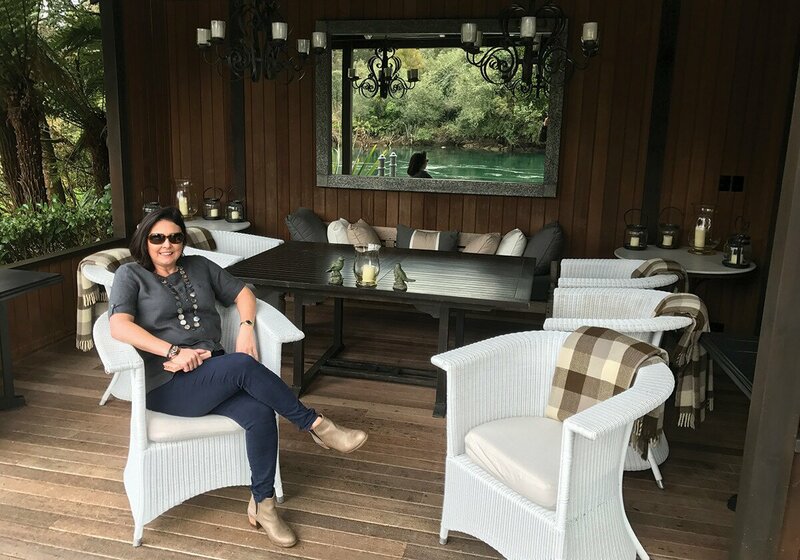 With Huka Lodge being founded in the 1920s as a simple fishing camp, nestled on the banks of the mighty Waikato River, it is upstream from Huka Falls, which is the home of Taupo’s famous rainbow and brown trout, which meant my husband was also impressed by my choice! Over the years the original canvas tents have been replaced by 25 suites, including two private cottages, spread over the 17 acres of manicured grounds (listed as being of national significance), many with beautiful riverside views. 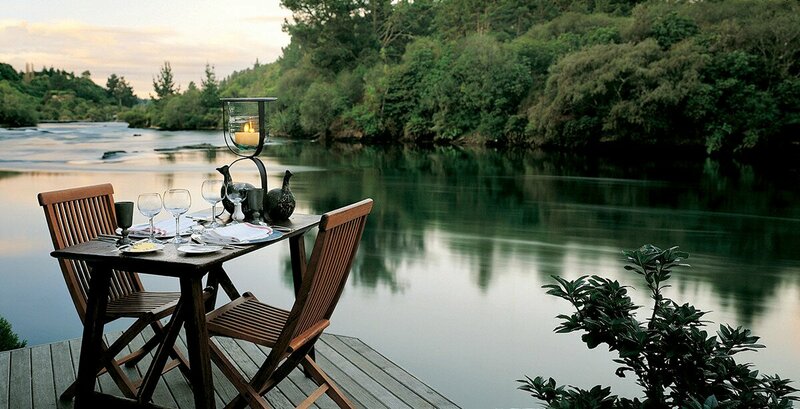 Huka Lodge has evolved into an iconic New Zealand property that is consistently chosen as one of the top retreats in the world and has won many prestigious awards. Upon arriving in New Zealand, having made a very easy flight connection through Auckland, we were collected from Taupo by our complimentary transfer and whisked away for a weekend, leaving the real world behind. The only decision we had to make was how to fill in a few days, and with Chris Jolly’s Adventure Company providing many excursions for lodge guests, the options were endless. From golfing, hiking, biking, fishing, hunting or just cruising the lake, we opted for an active day of mountain biking a section of the Great New Zealand Trail down to Lake Taupo, to be collected by a private vessel and cruise back via the controversial Maori rock carvings. 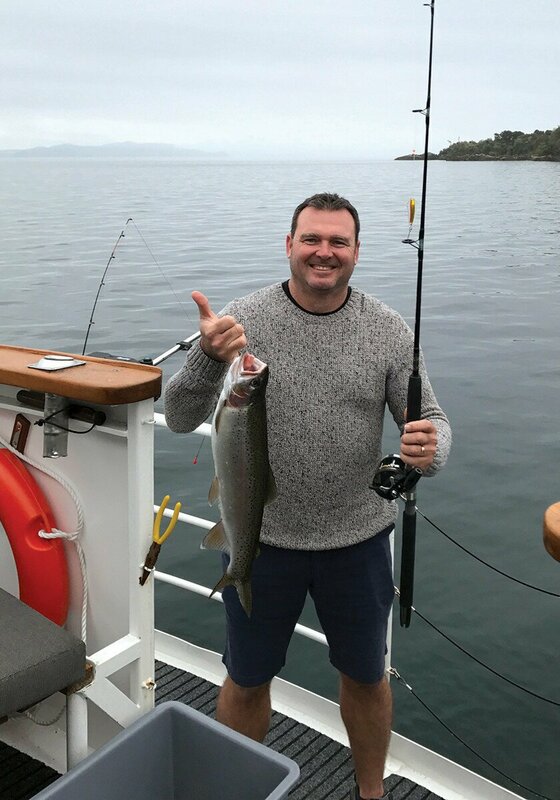 Of course the opportunity for fishing was not wasted, with a beautiful rainbow trout offering itself up for the lodge chef to prepare for our brunch the next morning! With evenings filled with optional dining venues scattered around the property in which to savour the regional cuisine, there were hideaway moments created in the library, cellar, jetty, trophy room or out on the patio next to a roaring fire, allowing you to be as private or as group-orientated as you wish. On event evenings, such as the much-awaited Louis Roederer Champagne Degustation, you are hosted in the main dining room, creating quite the festive affair. With Wine Ambassador Ben, regaling us with stories of how Brut was named, and the birth of Cristal in 1876 for the Russian Tsar Alexander II, it was an evening of superb food paired with exceptional wines – a night to remember. In November and December, there is a Waiheke Island winemaker dinner and a wellness retreat weekend on offer at the Huka Lodge, so if you too can hear a quick escape calling, be sure to think about a New Zealand luxury lodge for your next getaway.